Hi, Guys, Come on, Today our topic is the exciting Modern Combat 4: Zero Hour. Enjoy the first-person shooter game.Before, you may just allowed play Modern Combat 4: Zero Hour on xbox\ps4 platform or on the pc with high device,otherwise will run terribly.some people dream one day they can play the game on device with reasonable price and perfectly experience. 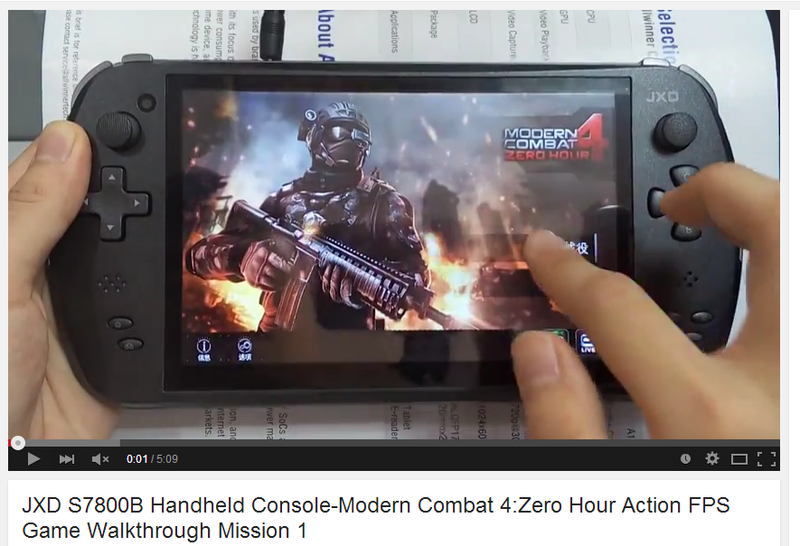 Now,JXD S7800 Quad Core Gaming Handheld Console made this dream come true. Now, let's watch the game video below, see how it runs perfectly! JXD S7800b has a 7 inches IPS Screen,1.4GHz Quad Core,Android 4.2.2, Resolution: 1280x800,2GB RAM, ARM Mali-400 MP4 GPU, The main feature is the Game Handle,it use USA CTS Dual Joysticks and Entity Key Layout, Extraordinary Buttons Mapping Function, bring you the fantastic experiences,feel the Super Stereo,high definition visual.In total, it is a amazing taste. 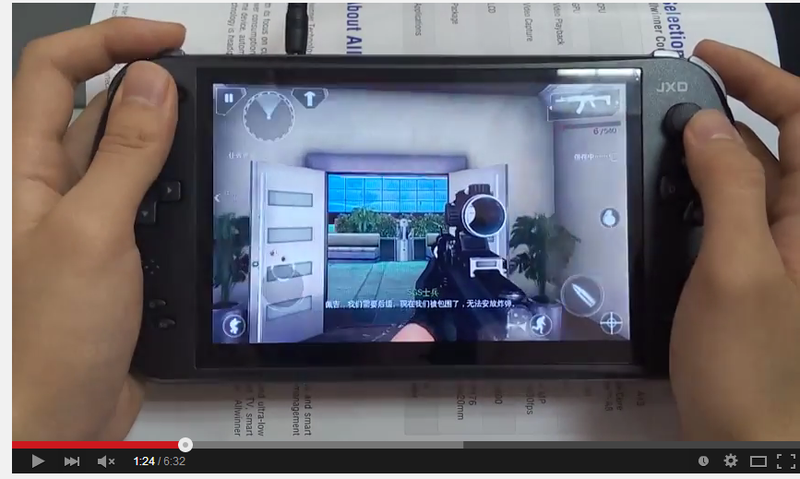 Modern Combat 4: Zero Hour is a 2012 first-person shooter developed and published by Gameloft Montreal for iOS, Android, Windows Phone 8, BlackBerry 10 and BlackBerry PlayBook. 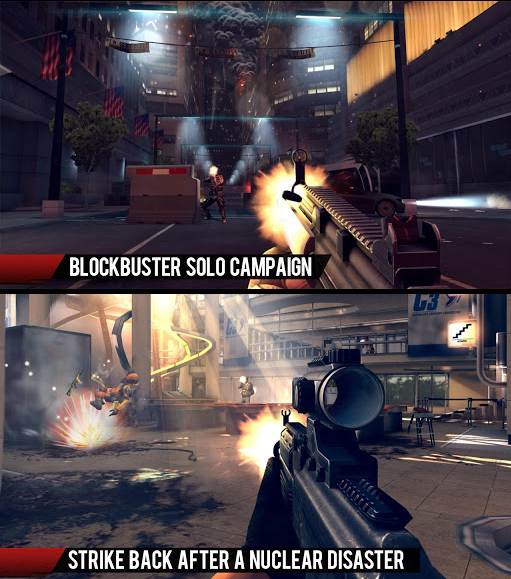 It is the fourth game in the Modern Combat series. The basic gameplay in Zero Hour is similar to the three previous games in the series, and also similar to the Call of Duty games.As with the three previous games, Zero Hour features a multiplayer mode. The game begins as Lieutenant Walker (one of the protagonists from Fallen Nation) gives a speech to his squad mates on board a troopship, warning them that the upcoming struggle is going to be extremely difficult. The ships reach a beach in Hawaii, and the player takes control of Corporal Joel Blake as he fights his way to a stronghold to rescue a group of politicians who were attending a peace summit. Amongst the hostages is the US President. As they storm the stronghold, the team discovers that the security hired for the summit, a private military company called Saunders Global Security, are in fact the ones responsible for the attack and the hostage situation. 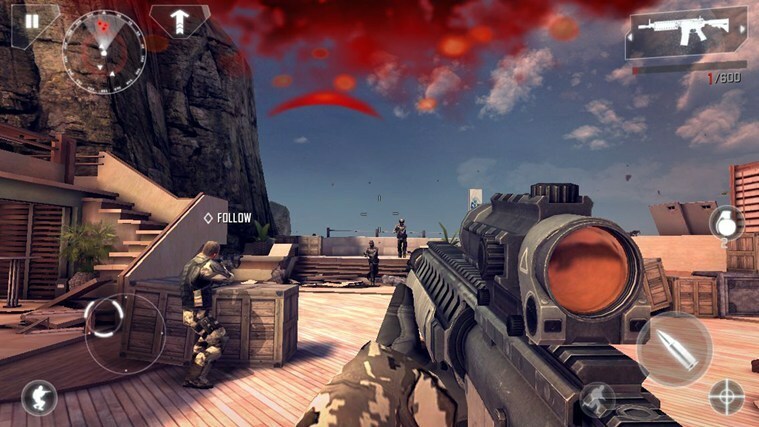 Modern Combat 4 features a suite of free multiplayer modes and maps, powered by Gameloft Live. Local Wi-Fi multiplayer is also included. Up to 12 players can duke it out across 8 modes and 8 maps. Improved sound & voice acting performed by a renowned studio in the movie industry. Enjoy a fully redesigned multiplayer mode. This game can run perfectly on JXD s7800b, hope you guys enjoy!